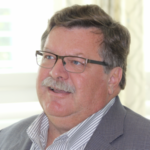 In early September 2017, I officially “retired” from Information Services Group (ISG – NASDAQ: III) after spending two years transitioning Saugatuck Technology, a subscription research and advisory I founded and ran for more than 15 years [click here for Bill McNee’s bio]. A year later, and still in my 50s, a friend shared “Bill, your flunking retirement.” My wife quickly agreed. You can only play so much golf, and frankly it became clear to me that I have one or two more chapters in my business life. As an industry analyst with 25+ years of experience, tracking and writing about the changing Business IT landscape is firmly rooted in my blood. As such, we hope you enjoy our blog. Our goal is to help senior business, finance and IT leaders think clearly and deeply around the key trends and disruptive technologies transforming business and society. As we move forward into 2019, look for more frequent posts, including some from guest bloggers, and a lot more posts based on Industry conferences and Analyst Summits that I will be attending this year. The blog leverages a research process honed over decades of practical and deep industry experience that helps shape the strategic insights, guidance and recommendations provided. It includes first-person research with early adopters who regularly share important lessons learned and the key challenges to be overcome, as well as regular engagement with leading and emerging technology providers to stay abreast of the industry. McNee Associates also conducts forward looking web survey programs to more deeply understand changing market dynamics, and the timing around key market shifts. I’m delighted to share that McNee Associates is now providing a range of research and consulting services for clients. For technology providers, this includes a focus around A) Strategy Validation, Opportunity Analysis and Positioning & Messaging consulting services, and B) Custom Research programs that support both internal planning and strategy development, as well as external thought-leadership that can be used for business development purposes. For technology buyers, we provide leadership workshops for CIOs / CTOs and their teams, as well as technology strategy development services. We also have experience working with technology investors (such as Private Equity and Venture firms) performing due diligence, including assessing growth opportunities, go-to-market strategy, and the underlying technologies that would support it.